Tickets for these dates will go on sale Saturday, April 20 via LiveNation.com and Ticketmaster.com. Click here to RSVP and get early access to pre-sale tickets starting Thursday, April 18 at 10am. Last week they had announced European tour dates that would run from November to December of this year. Click here to see the European Tour details. The album 13 is slated to be released on June 11th. 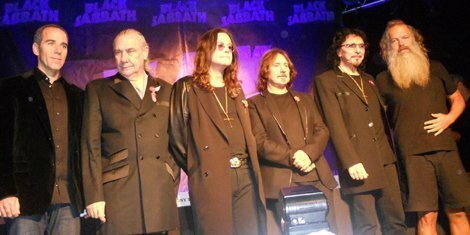 Here at Zumic, we wish our best to Ozzy and the Black Sabbath family. 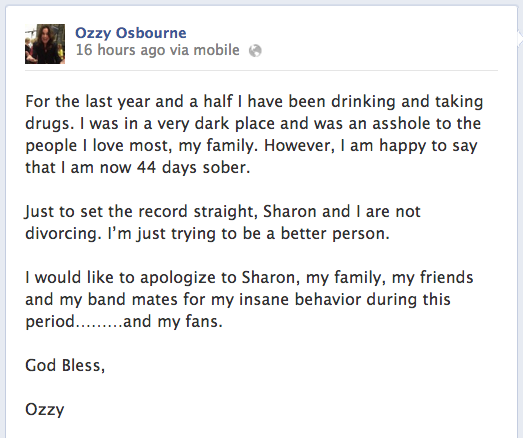 It sounds like he's staying clean and sober, which is an encouraging sign. Stay strong, Oz!